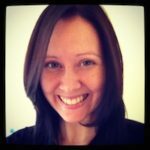 Natalie May trained in Emergency Medicine as well as Pediatric EM in the UK where she worked for just over a year as a consultant before moving to Sydney where she now works as locally as a Specialist in Emergency Medicine, as a Specialist in Prehospital and Retrieval Medicine with Sydney HEMS and occasionally in Neonatal and Pediatric Transport (NETS). She has spoken internationally in Australia, Europe and the US, on topics in pediatrics, medical education and social media for teaching and learning. She is a proud contributor to the St. Emlyn's blog and podcast, as well as a member of the Social Media and Critical Care (SMACC) conference organizing committee.